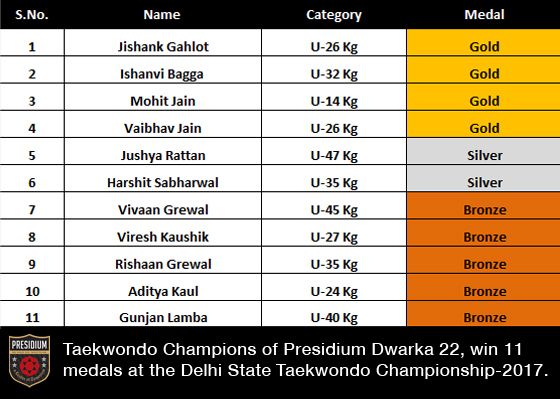 Taekwondo masters of Presidium, Dwarka 22, have written their victory in bold letters at the Open Delhi State Taekwondo Championship- 2017, by claiming more than 11 medals- 4 Gold, 3 Silver and 4 Bronze medals. 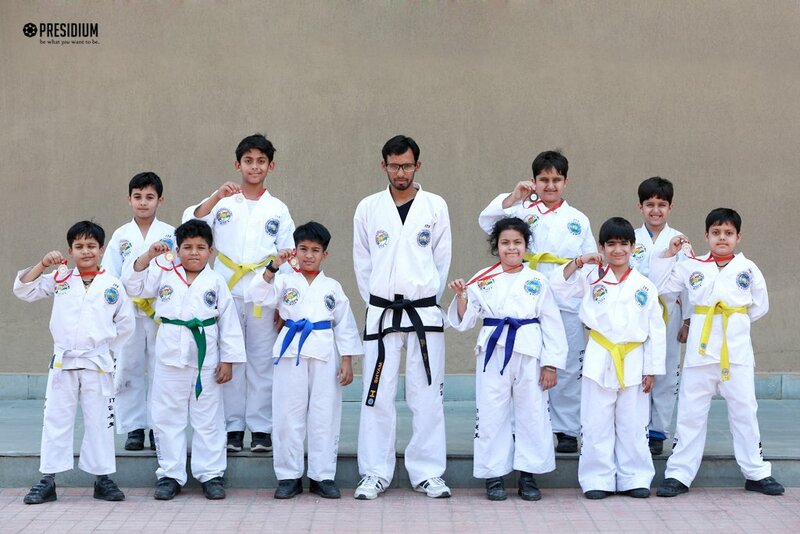 More than 250 students from 19 schools participated in the championship, out of which our ace taekwondo champs, stole the show by claiming one medal after the other and registered a glorious victory at the championship. Jishank Gahlot of Grade VI, won a Gold in the in U-26 Kg category. 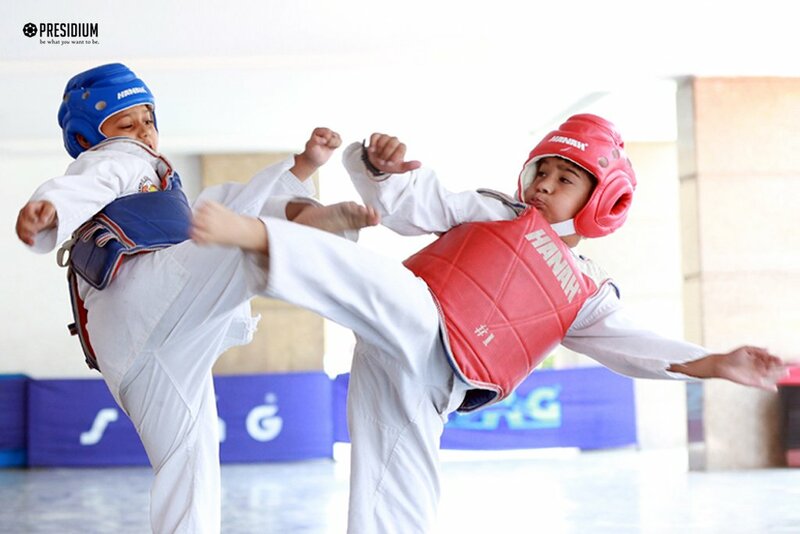 Ishanvi Bagga of Grade IV, won a Gold in the U-32 Kg category. Mohit Jain of Grade IV, won a Gold in the U-14 Kg category. Vaibhav Jain of Grade V, won a Gold in the U-26 Kg category. Jushya Rattan of Grade VI, won a Silver medal in the U-47 Kg category. Harshit Sabharwal of Grade V, won a Silver in the U-35 Kg category. Vivaan Grewal of Grade V won a Bronze in the U 45 Kg category. Viresh Kaushik of Grade III, won a Silver in the U-27 Kg category. 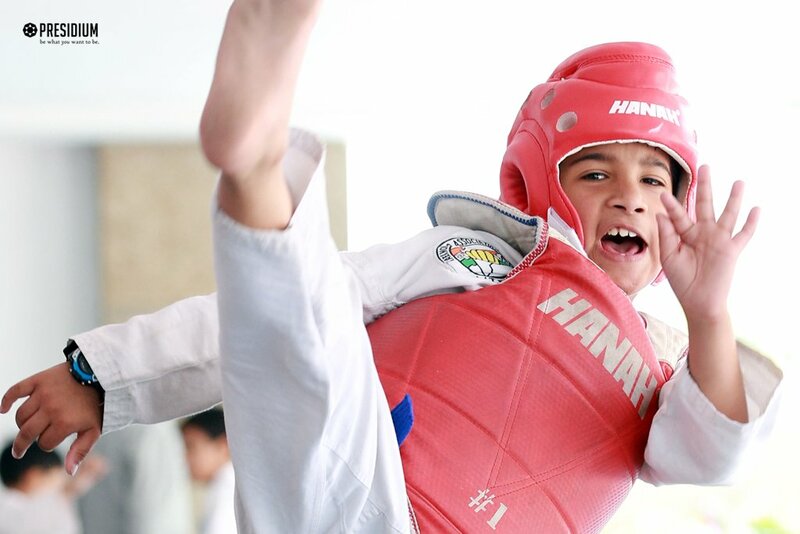 Rishaan Grewal of Grade III, won a Bronze in the U-35 Kg category. Aditya Kaul of Grade III, won a Bronze in the U-24 Kg category. 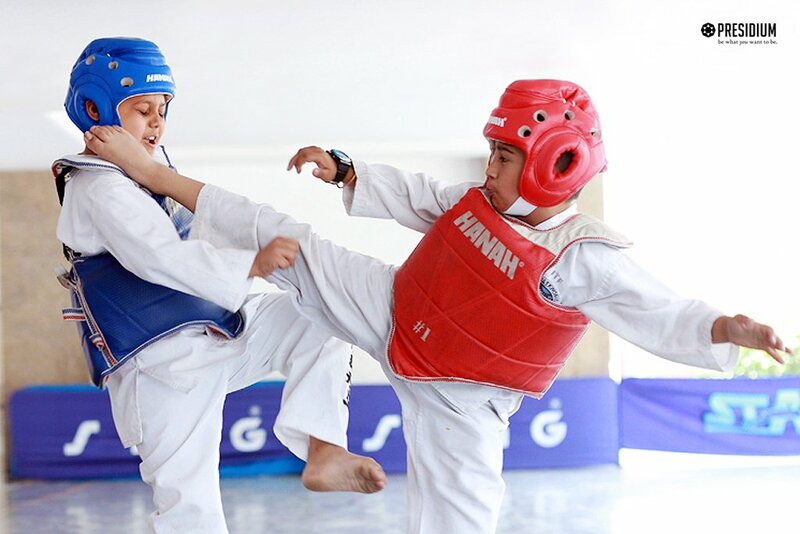 Gunjan lamba of Grade VI, won a Bronze in the U-40 Kg category. Congratulations to the Coach and the champions! Go win the Nationals!